Owning a Google account does a lot for you and I. But hey it’s not the only one out there. And yes, you can switch over to another or even create new one if you wish. But when you think about the valued connections you’ve in your old Gmail account. They’re worth reconnecting with. Don’t they? 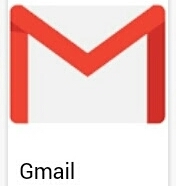 Google account for reasons of either lost or damaged SIM card that’s associated to your Gmail account which you didn’t bothered to retrieve, forgotten password or both. Perhaps you’ve tried retrieving it but you feel stressed out each time. Kudos to Google for putting in place stringent measures to protecting your account from experiencing security breaches. It happened to me. My SIM card got damaged late last year and immediately I switched to another SIM. I had promised myself I’d retrieve it. But days become weeks and weeks become months yet nothing was done about it. What’s more? I also couldn’t remember my password. There’re too many of those to grapple with if you frequent the online environment like I do. While I still use my account because I’ve logged in on a number of electronic devices so I don’t need to log in every time. But as it I cannot do anything on the account from a public computer because Google will ask for a verification code to be inserted which I wouldn’t have for lack of a phone number that’s associated. More so, I cannot also log out for the fun of it on my devices. Of course, that would be my nemesis. The danger there is if anybody gain access to your devices behind you and just push one the buttons of apps you’re using it could lead to such persons getting their hands on personalized contents. And I trust you wouldn’t want that. If you’re in this state, now don’t worry! Note: you can only perform this operation in desktop mode. *To retrieve or sign in to your old Google account, you will need to open another Gmail account if you don’t yet have one for future account retrieval purposes. *Once you’ve done that, proceeds to your Gmail sign in page and type your email address and click on forgotten password. *Google will prompt you through a number of options or dialogue interfaces available to confirm if truly you’re the real owner of the account in question. *Wait until the prompts is should verification code be send to your backup account then click yes. *Go to the backup account and fetched the six digit code and paste it into the space provided and click continue. *Additional information will be demanded of you (which are optional anyway) through a dialogue box asking you to state what your reasons are for being unable to sign in to your account. *At this juncture, Google will ask you to wait for between 1-3 hours for it to process the request. I bet you wouldn’t have to wait for that long. After the processing is done, what you get next is your old phone number popping up with a request to change it to the current one. Type it in and click done. *Another verification code will be send to it which you will fetch and paste to complete the process and you’re done.